Not as many as you’ve heard. 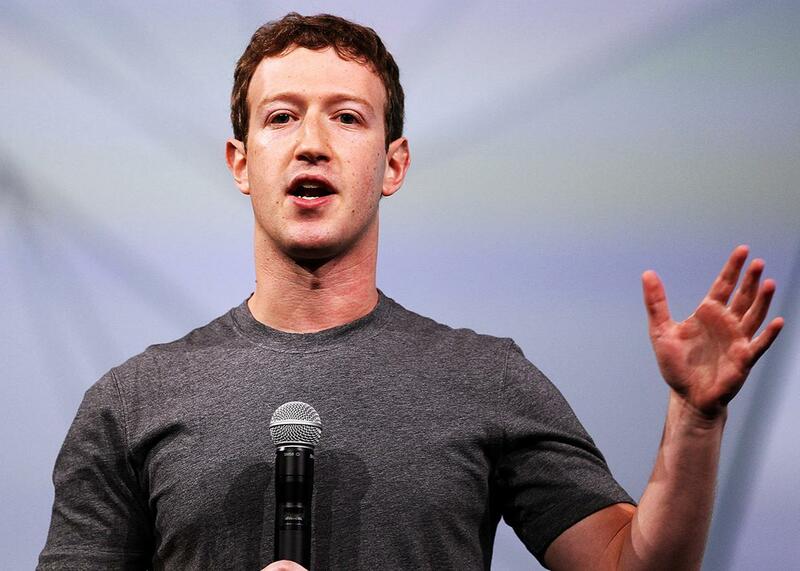 Facebook CEO Mark Zuckerberg delivers the opening keynote at the Facebook F8 conference on April 30, 2014, in San Francisco, California. The recent controversies over Facebook’s trending section and its fake-news problem have highlighted the social network’s importance as a source of news—and earned it heaps of criticism, including from me, for refusing the responsibilities of a major media company. But just how important a source of news is it? Efforts to answer that question tend to revolve around a single statistic. “The scale of impact is staggering,” Vice’s Nellie Bowles wrote in a Nov. 17 story about fake news. “Facebook has 1.8 billion users, and 44 percent of Americans get their news from the site, according to the Pew Research Center.” Vox’s Aja Romano likewise reported in November that “44 percent of all adults get their news from Facebook,” again citing Pew Research. The New York Times had it that “nearly half of American adults rely on Facebook as a news source.” I used the same figure, and almost the same wording, in a Sept. 9 Future Tense post. Other prominent outlets have cited a different figure from the same Pew report. “The majority of Americans, 62 percent, say they get their news from social media,” said MSNBC’s Chris Hayes, in a clip that HBO’s John Oliver used to set up his critique of Americans’ media diet. The figures are compelling, not only for their apparent precision and the credibility of their source, but also because they seem to neatly justify all the scrutiny. They suggest that social media and Facebook have become a dominant mode of news consumption. But a closer look at the Pew report in question reveals a somewhat different picture. The report, published May 26, 2016, is titled, “News Use Across Social Media Platforms 2016.” It leads with the finding that 62 percent of Americans get news from social media, while the Facebook-specific 44 percent number appears a few paragraphs in. But you don’t have to read past the first sentence to see that there’s a crucial qualifier to this finding. The report begins, “A majority of U.S. adults—62%—get news on social media, and 18% do so often … .” That’s right: 18 percent. So while it’s true that most adults get at least a little bit of news from social media, it’s deeply misleading to say that a majority “rely on” social media as a news source. It would be more accurate to say that fewer than 1 in 5 Americans routinely turn to social media as a news source, according to Pew’s data. The data on Facebook are less fine-grained. The 44 percent figure arises from a combination of two other Pew findings. First, 67 percent of U.S. adults report that they use Facebook. Among those, another 66 percent answer “yes” to the question, “Do you ever get news or news headlines on [Facebook]?” The question defines “news” loosely as “information about events and issues that involve more than just your friends and family.” Multiply 66 percent by 67 percent and you get 44 percent of American adults saying they “ever” get news or information on Facebook. Pew did not ask how those 44 percent how often they get news on Facebook. But if only 18 percent of adults get news “often” from any social media site, we can safely assume that the number that gets news “often” from Facebook is less than that. All that said, it is still technically accurate to point out that 44 percent of Americans get news from Facebook, according to Pew. But it would be more helpful to note that most get news there only occasionally. And the claim tends to grow more misleading when the vague phrase “get news” is modified in some way, as in “get their news,” or “rely on … for news.” It sounds nitpicky, but there’s a big difference between a site that’s a primary news source for almost half the adult population and one that’s a primary news source for somewhere south of 18 percent. So what medium really is a primary news source for the largest number of Americans? We can find an answer to that in a different Pew Research report, this one from June, titled, “The Modern News Consumer.” It compares the percentage of U.S. adults who “often” get news from various platforms. By this metric, television remains the dominant medium by a significant margin, at 57 percent. A distant second is “online,” at 38 percent. This combines the 18 percent who get news often from social media with an overlapping 28 percent who get it often from “news websites/apps.” Third on the list is radio at 25 percent, followed by print newspapers at 20 percent. There are all kinds of ways to dice these numbers, and a full picture of Americans’ news habits would take into account sources other than Pew surveys, as well. Self-reporting is not always reliable, so it’s possible that more people are getting news from Facebook than Pew’s data reflect. (I have a hard time believing, for instance, that only 66 percent of Facebook users ever see news in their feeds.) It’s also worth noting that social media seems to be a relatively fast-growing news source: A similarly worded question back in 2012 found that 49 percent of adults had “seen” news on social media, compared to the 62 percent who get news there today.